Fred Nichols, who served as Wilfrid Laurier University’s dean of students for nearly 30 years and who has remained involved in alumni relations and development roles at the university since 1997, will retire from Laurier on Oct. 1 at the age of 84. Nichols was hired as the director of student activities and placement services in 1963 by then-president William Villaume – the first of eight Laurier presidents Nichols would work with over the course of his career. Nichols became Laurier’s dean of students in 1968 and continued as dean until he retired from the role in 1997, after which he devoted his time to fostering personal connections with alumni and fundraising for the university. Among Nichols’ many accomplishments during his Laurier career include establishing career services at the university, bringing the now-national organization BACCHUS (Boost Alcohol Consciousness Concerning the Health of University Students) to Canada from Florida as a campus club in the 80s, and playing an instrumental role in developing Laurier’s athletics program. Nichols’ role as a tireless champion of student causes as dean of students was recognized – in what he holds as the highlight of his career – when students fought to name the new campus centre on the Waterloo campus in his honour. Today, the Fred Nichols Campus Centre remains a hub of student activity on Laurier’s Waterloo campus. Nichols served on Laurier’s Board of Governors and the BACCHUS Canada board of directors, and established an annual Fred Nichols BACCHUS bursary for student leaders. 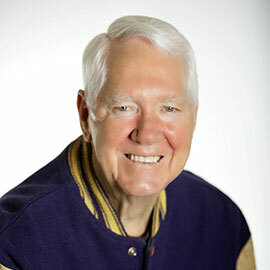 He was recognized as an honorary Laurier alumnus (his three sons and two of his five grandchildren attended Laurier), was inducted into the Laurier Athletic Hall of Fame, and received an Honorary Doctor of Laws degree from the university in 2008. Nichols will be recognized during Laurier’s Waterloo campus homecoming weekend Sept. 23-25.